Open House Holiday Monday Apr.22nd 1:30-4pm. Grandview Park is a stunning development in Springbank only 10 mins from Calgary's city limits. 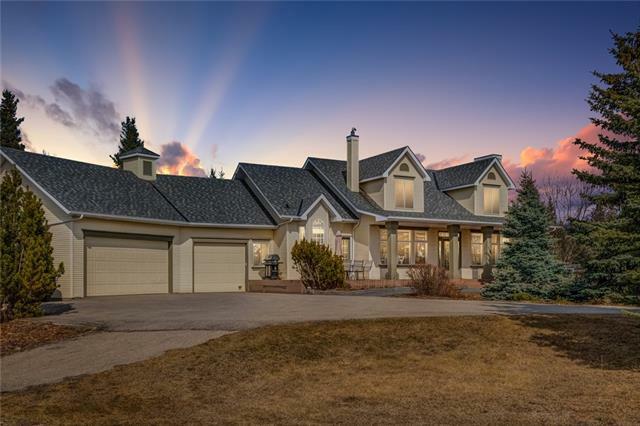 A private community of Country Estate acreages, it captivates an alluring combination of natural springs, paths & trails through treed coulee ravines & panoramic mountain views. Beautifully appointed, this 2011 built 2 storey masterpiece on 2 acres, is a 3750 sq. ft. Rockwood Custom home from Design to building completion. A Grand 22 ft entrance greets you w/ openness & tons of bright natural lighting. Enjoy the outdoors from morning to sunset w/ 3 separate decks & stone patio areas. Marble, quartz, granite & tile the finishing materials will impress your sense of design & family living. Cornice moldings, 9 foot ceilings, 9 inch baseboards & elegant lighting selections w/ fireplaces throughout. Built onto one of the highest elevations in the community, it has views in all directions w/ open mountain views & also backs onto a treed natural reserve ravine. The main floor offers a kitchen w/ huge granite island, gas range, convection oven custom cabinets & is bright & open. The custom pantry has drawers, shelving, cabinets & closets. The front sitting room & dining/flex area are divided by a 2 sided fireplace. The main floor office has mountain view & french doors. A cozy sitting room also adds to the great main floor space. The oversized triple garage leads to a mud room & laundry room w/ cabinets lockers & closets. Upstairs you have 3 bedrooms w/ 3 en suites, all w/ vaulted ceilings. The master ensuite has a steam shower & room galore. Extensive landscaping & paved driveway recently added. The perfect blend of traditional comfort & contemporary design w/ proximity to the city & mountains. It's only minutes from both Calgary city limits & to Springbank schools and recreation. The elegant, enduring design is both upscale & classic. See our 360 tour and then book your own private showing. Home for sale at 12 Grandview Pl Rural Rocky View County, Alberts T3Z 0A7. 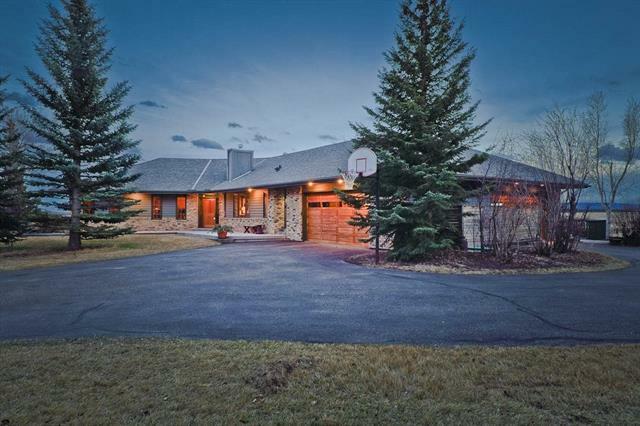 Description: The home at 12 Grandview Pl Rural Rocky View County, Alberta T3Z 0A7 with the MLS® Number C4220643 is currently listed at $1,699,900.